This stand alone class is part of my self-care through creativity retreat. I'll show you how to tap into your own secret language of symbols and iconography to create a deeply personal oracle. For beginners or experienced artists, this is a mixed media class you don't want to miss. What is a personal oracle? 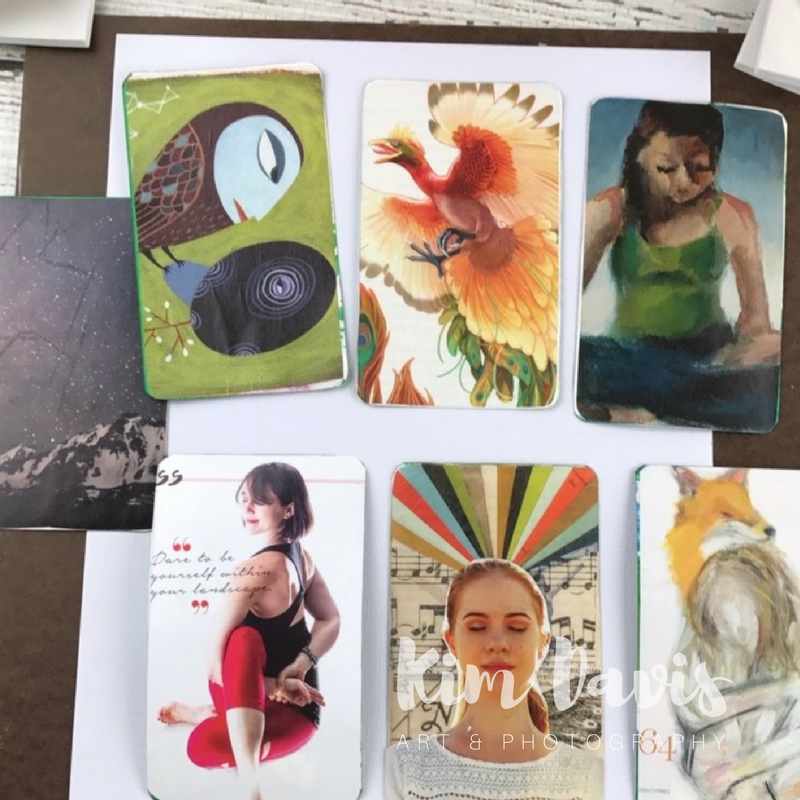 It's an invitation to think outside the box about who you are and what you want - creating these cards is an exercise in thinking beyond what you believe is possible. What are your wildest dreams? It's a tool you can use for meditation and visualization - draw a card each morning to help you visualize your best self. Your vision board cards should focus on how you want to feel. So you can draw a card to begin your day with a specific intention. Creating something so personal and unique is fun and relaxing - it's your chance to reconnect with your authentic self. What delights you? What brings you joy? What would you do if money was not an issue? This workshop runs three total hours. All supplies included - however, you are invited to bring a copy or your favorite magazine to use for collaged images.